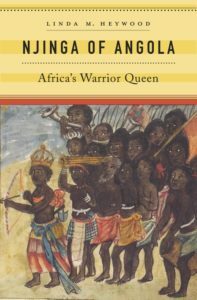 This is not an elaborate review, but to honor Women’s History Month, let me tell you why you should read Njinga of Angola: Africa’s Warrior Queen, a biography just published by Africanist historian Linda M. Heywood. 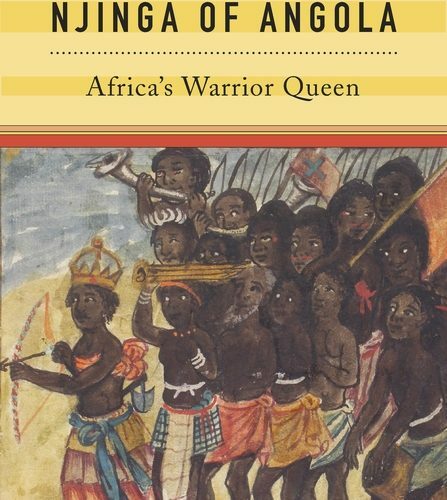 This book is the first scholarly biography of Queen Njinga (1582-1663), of one of the most controversial female figures in the history of Africa and the Atlantic world. Anybody who had the opportunity to listen Heywood in conferences over the last years know that she has been working on this project for several years, if not more than a decade. The book is divided into seven chapters. By examining the endnotes, the reader can easily notice that the book heavily relies on primary sources in multiple languages excavated through archival research and fieldwork in three different continents. You don’t need to know the history of Central Africa to understand Njinga’s history. But by reading the biography you will become familiar with the long history of West Central Africa. You will also be introduced to the various dimensions of the encounter between West Central Africans and the Europeans that ultimately led to the development of the Atlantic slave trade. For those of us who are familiar with the literature in this field, this book allows us to better understand the history of precolonial West Central Africa, the long-lasting presence of the Portuguese in that region, and the conversion of West Central African rulers to Catholicism, and how already in this early period these rulers had access to literacy. On the one hand, unlike other academic works, you can read this book without consulting the extensive endnotes. On the other hand, because this is the only academic biography of Njinga, the endnotes are succinct and limited to the primary sources on which the book is based. The book dismantles the idea of an Africa without history because of the alleged absence of written sources, an absurd idea that is still present in many circles, including among historians of Europe, who usually ignore the history of Africa in their works. The biography portrays Njinga like any other European queens such as Isabella of Castile or Queen Elizabeth I of England. Heywood also explains how the Portuguese actively participated in the production of captives for the Atlantic slave trade in the region of the Kingdoms of Ndongo and Kongo that cover part of what is present-day Angola. Heywood describes in detail the atrocities committed by the Portuguese in that region as well. She also highlights the importance of Catholicism in the occupation and conquest of what became Angola. 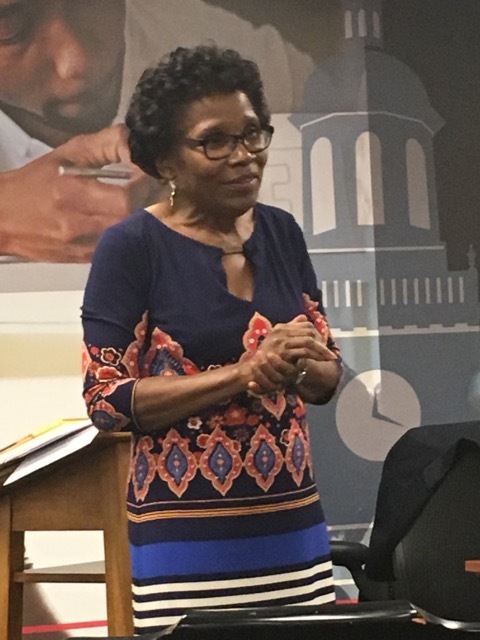 She shows how Jesuit and Capuchin missionaries participated in this project of conversion of West Central African rulers and their subjects and how they endorsed and supported the methods utilized by Portuguese officials. Yet, Heywood does not portray Njinga and her subjects as absolute victims in this process. On the contrary, they are depicted as powerful historical actors, who had the ability to make choices and who did not hesitate in exerting their authority to control their subjects and neighbors. Heywood also shows the multiple dimensions of Njinga’s conversion to Catholicism and how the queen used her conversion to negotiate with the Portuguese, to resist against their presence, and to acquire political power by not necessarily abandoning her native religion. Heywood does not seek to examine in detail the reverberations of Njinga’s rule in Europe (especially Portugal) and the Americas (notably Brazil) and to do so we would need another book. 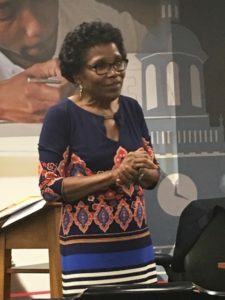 Yet, this Njinga’s biography will certainly help historians and students of the Atlantic slave trade to better understand the trajectories of the men, women, and children sent into slavery from Angola to the Americas.